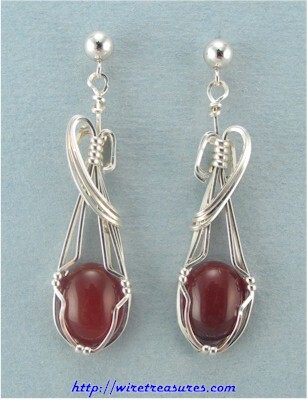 These Sterling Silver ball post earrings sport oval Carnelian cabochons. They are very elegant; perfect for evening wear! This is a Jessie Donnan design. These hang down about 1-3/8". You are visitor number 4,654 to this page.